V – Art for Art's Sake! A graduate in Fine Art from the Dun Laoghaire School of Art. Youngest son of Eamon de Valera, he was a solicitor, composer, writer, artist and sculptor who had a number of exhibitions in Dublin. 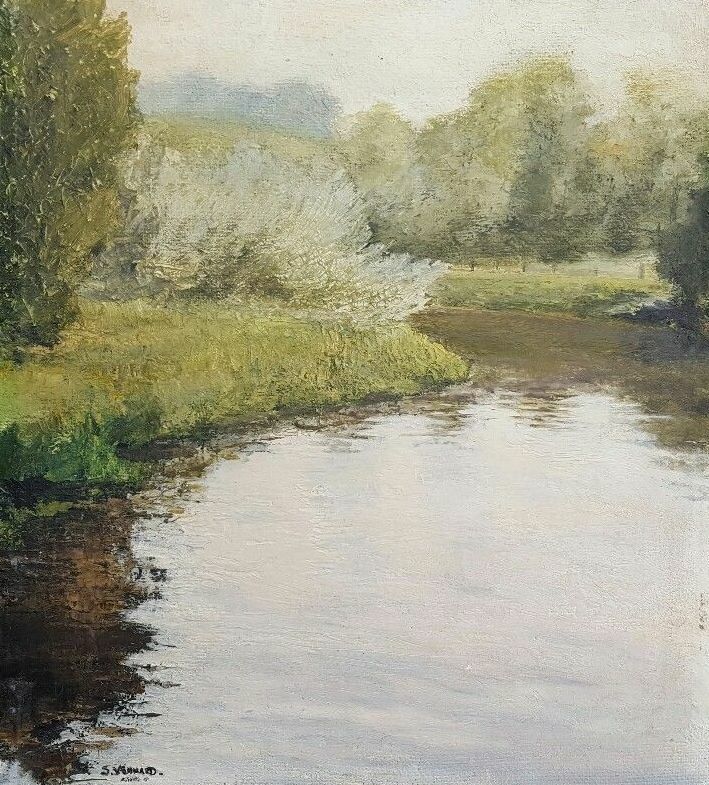 Untitled oil painting, dated 1977 (12″ x 16″) sold at Whyte’s 24/9/2011 for just €100.00. Quick Sketch of Mountain Scene, dated 2003 – oil on board – purchased by me on eBay 8/2017 for €50.00. 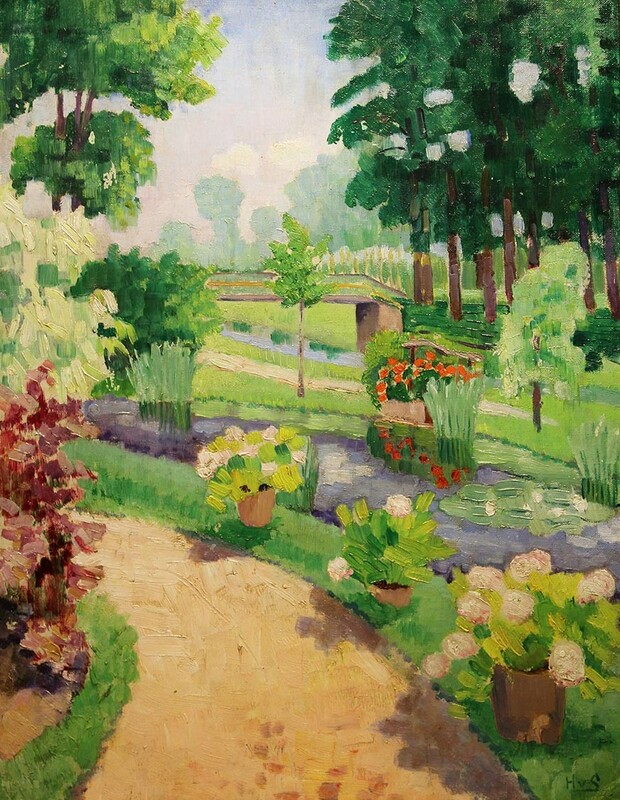 “Paris Garden” oil on canvas (24″ x 18″), unsold at de Vere’s – 6/2/2017. Born in Dublin and studied at the University of Ulster in Coleraine. 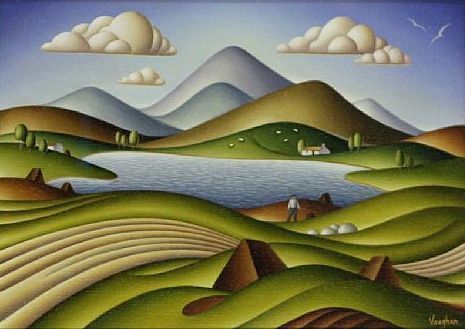 A self-taught artist who sold his first oil painting at the age of fifteen, Justin’s imaginative style of artwork is instantly recognisable. “Cutting the Turf” (12″ x 14″) oil on canvas. Sold at Gormley’s – £2,300. 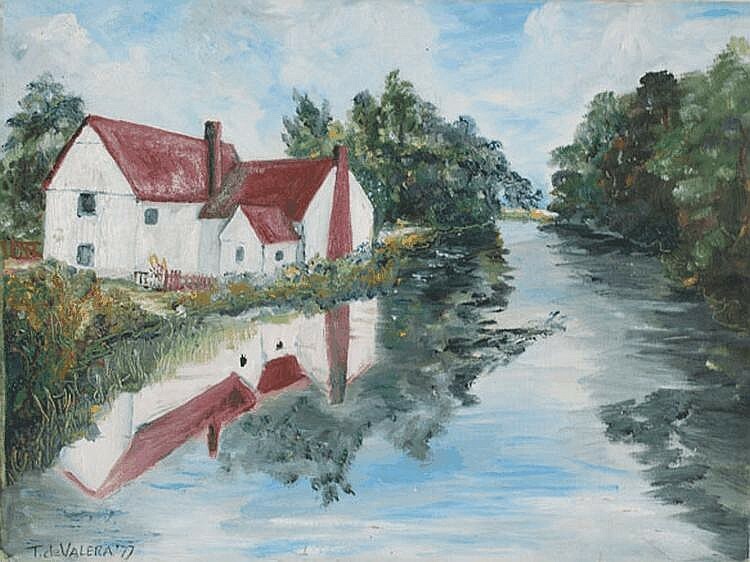 “Lagan Towpath” oil on board (14″ x 12″), sold on eBay – 28/3/2017 for £19.99 and at Ross’s – 28/6/2017 for £30.00. 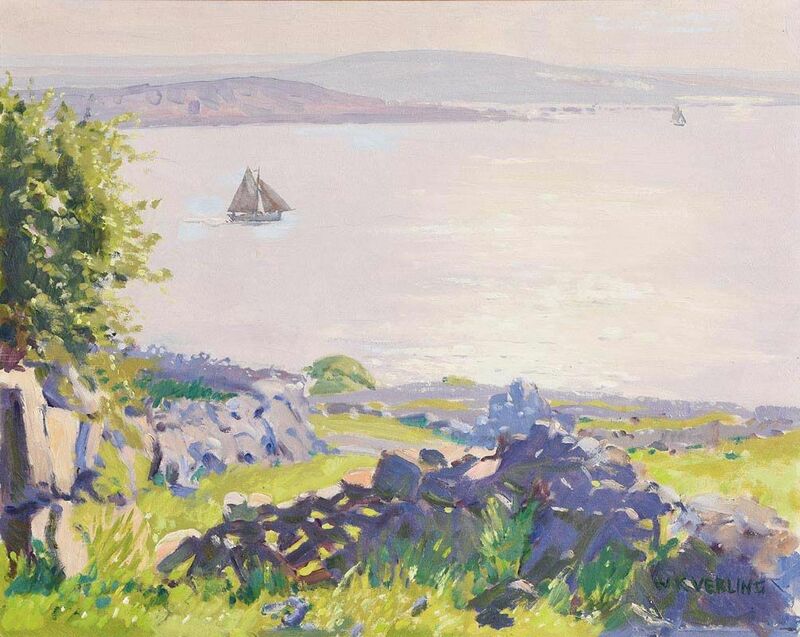 “Caherconnell, Burren, Co.Clare” egg tempera (31.5″ x 31.5″), sold at Adams – 16/12/2014 for €550.00. 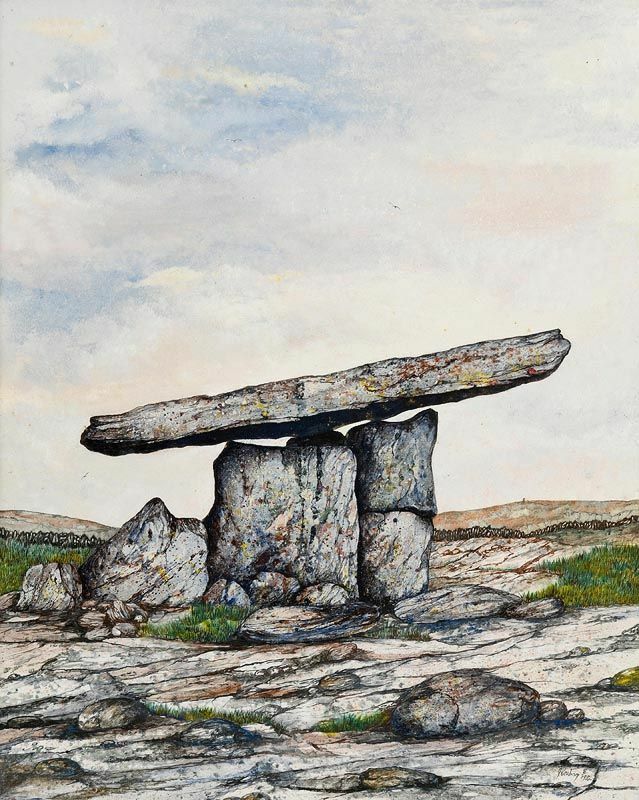 Left to right: “Kerry Cottage” egg tempera (15.5″ x 15.5″); and “Poulnabrone Dolmen” 1982, mixed media (29″ x 23.5″). 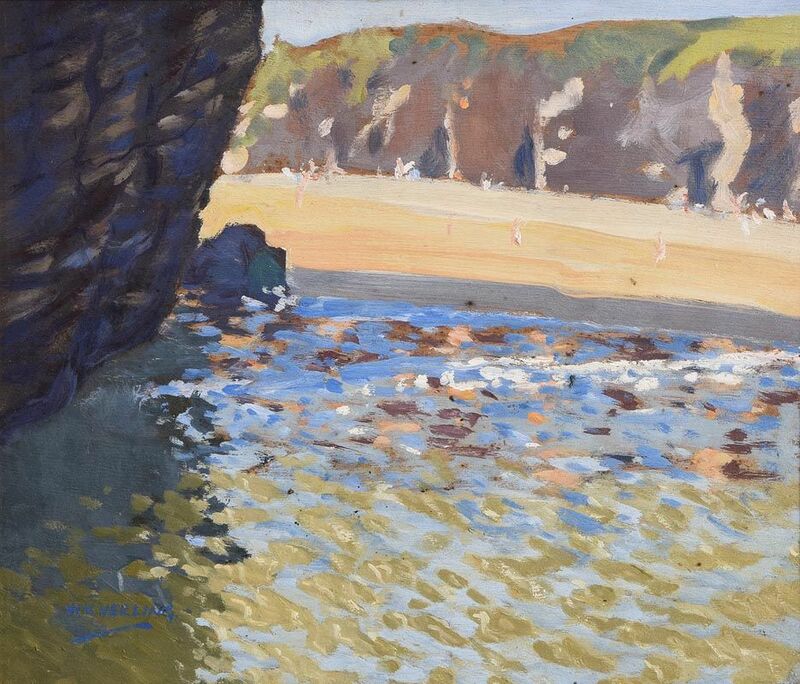 “Receding Tide, Goat Island, Ardmore, Co.Waterford” dated 1998, oil on panel (12″ x 14″). Sold at Morgan O’Driscoll’s – 2/8/2016 for €500.00. 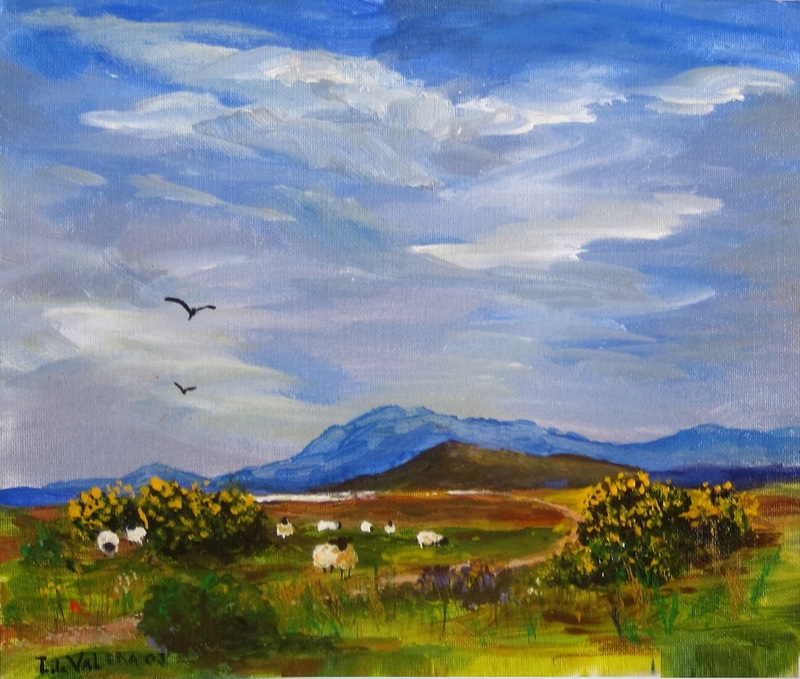 “Rossaveal, Connemara” oil on board (16″ x 20″), sold at Morgan O’Driscoll’s – 6/3/2017 for €650.00. 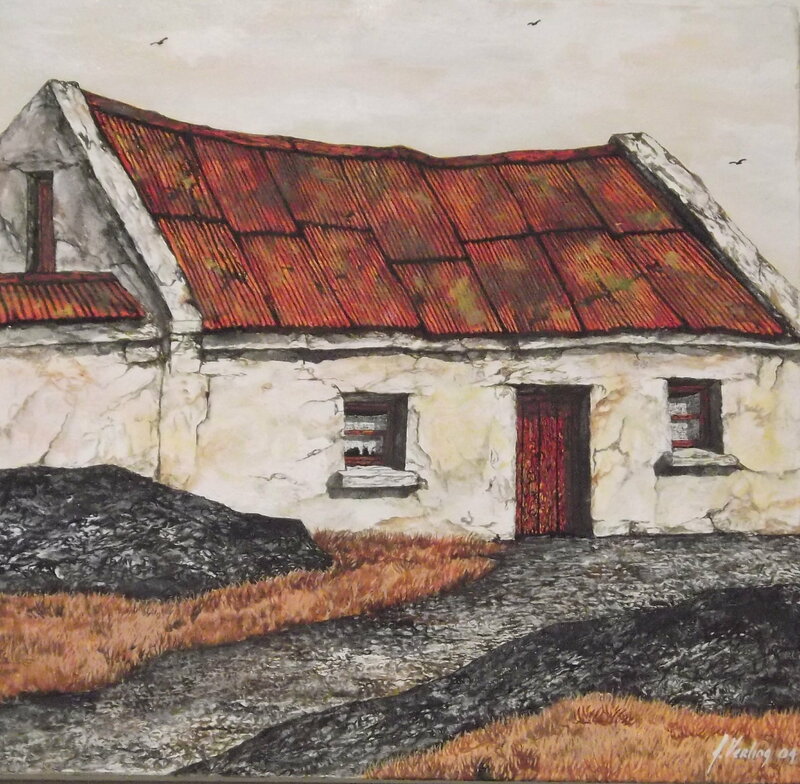 Leitrim based artist and gallery owner known for her pen and ink drawings. 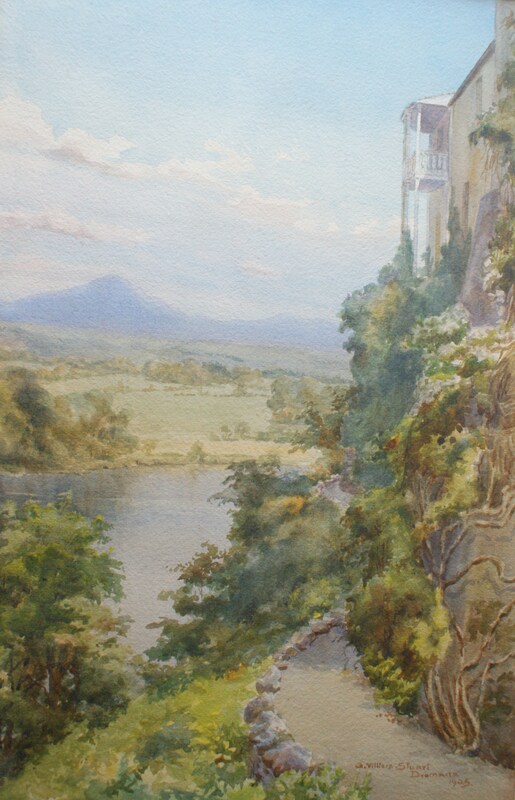 Amateur watercolourist from Dromana, Villierstown, County Waterford. Strangely captioned watercolour “Mountains of Morne from Drumline” (sic) sold by a Scottish gallery and yet dated Dromana 1905. In fact, it looks more like a view of the River Blackwater from below the house at Dromana. 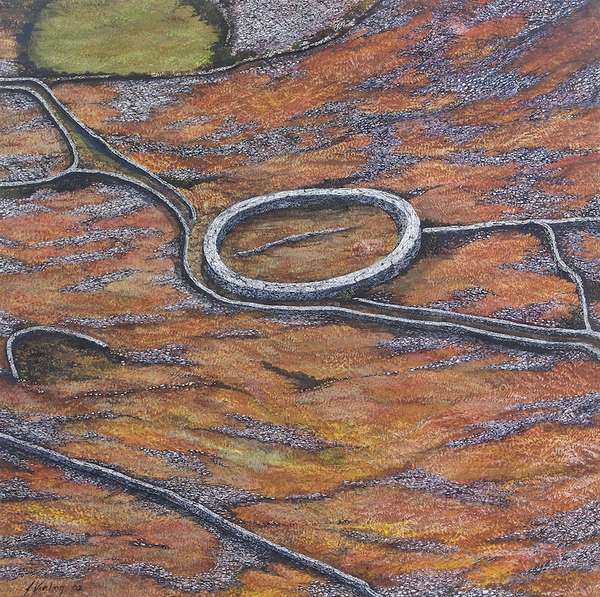 Michael Viney is an artist, author, broadcaster and journalist living in the West of Ireland. Born in Brighton he has lived in Ireland for many years and is best known for his long-running “Another Life” column in the Irish Times newspaper. 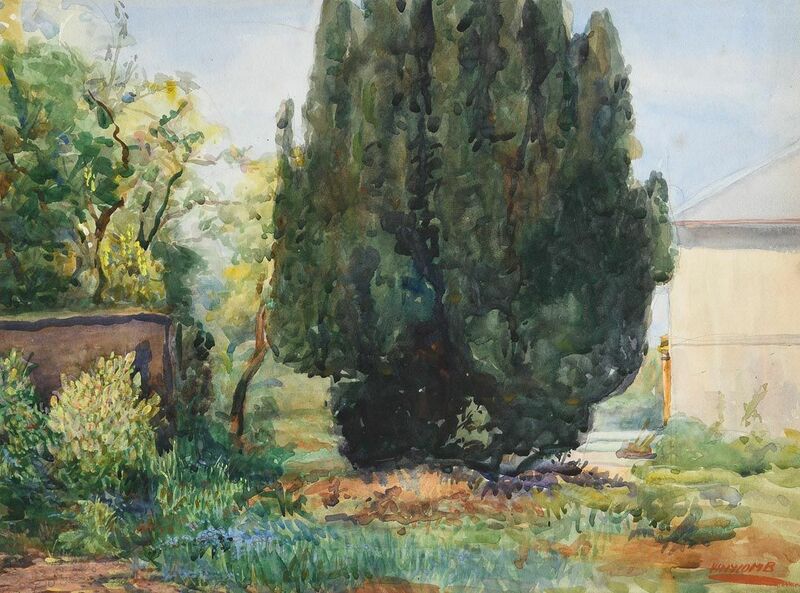 “The Old Manse Garden, The Croft, Holywood” watercolour drawing (14″ x 20″), sold at Morgan O’Driscoll’s – 6/11/2017 for €50.00.